It's true. They are so classy. 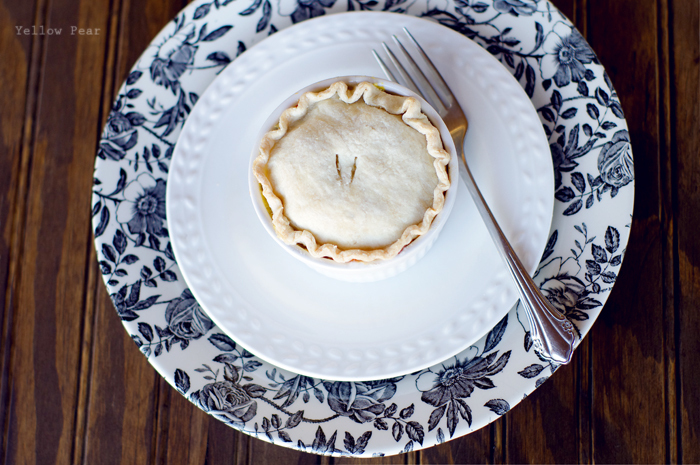 So when my sister made these lovely pot pies, I knew I had to try them too. 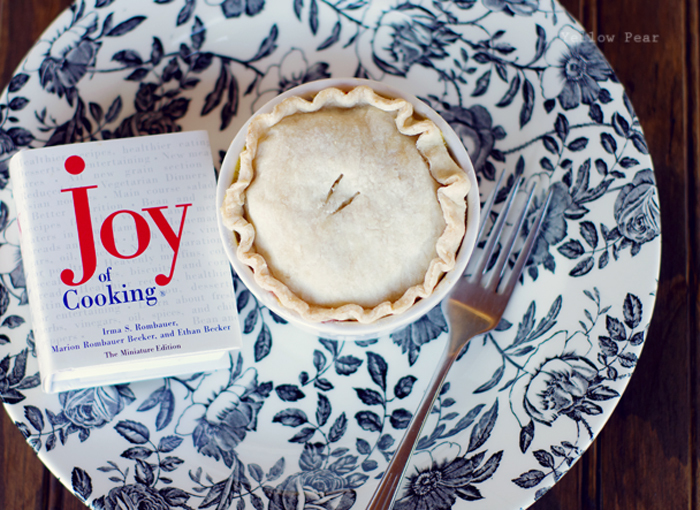 Plus I love pot pies. And miniature things. They really weren't that hard and were delightfully tasty and surprisingly filling. The family enjoyed them as much as me (or almost). The hard part was waiting for the little pies to cool down enough for human consumption, which is always frustrating when you're hungry and dinner is literally staring you in the face. 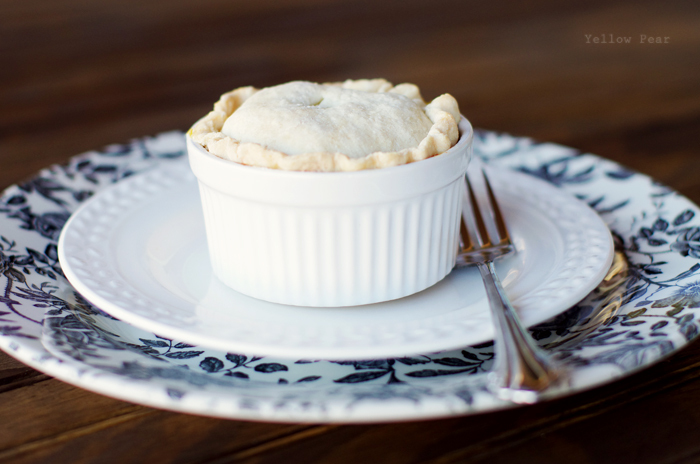 I just had to throw in my mini cook book with the mini pot pie for a quick photo, because...well they are both mini and because sometimes I do enjoy cooking. Right now is one of those times. For the last few months I have not enjoyed it one bit and so we have been surviving on eggs for dinner, and cereal and Ramen and whatever else we could scrounge from the pantry. But I finally broke that streak and I've been cooking up a storm. A storm of soups and stews and pies and breads and muffins and all manner of culinary goodness. Mmmm. That looks delicious! I love the mini cookbook, too cute! Looks delicious! Would be fun if you had a mini fork too! But then this dinner would only be for the elves who fix shoes in the night :O) They could work, eat and then read a nice book!